Each year, my mom plants this huge garden filled with cucumbers, tomatoes, chives, basil, among other delicious foods, and she also plants flowers all around her house in a way I couldn't easily mimic at my own house. 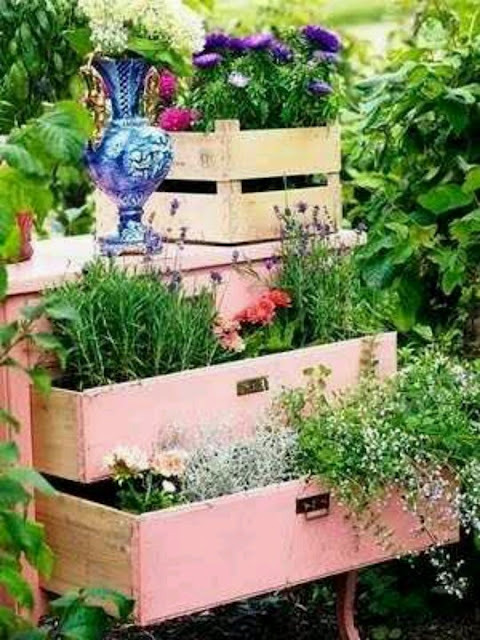 This year, I would like to plant some hastas and beautiful pink and purple flowers. I also want to grow my own vegetables. I'm a little nervous about all this, but I think with her help and some practice, this garden thing could really happen! Nothing would make me happier than to pick vegetables from garden to put in a salad during the summer. I've found milk crates like the one on top at Target. I think it would look so country chic to have a milk crate full of flowers on the sidewalk next to our house. What do you think? 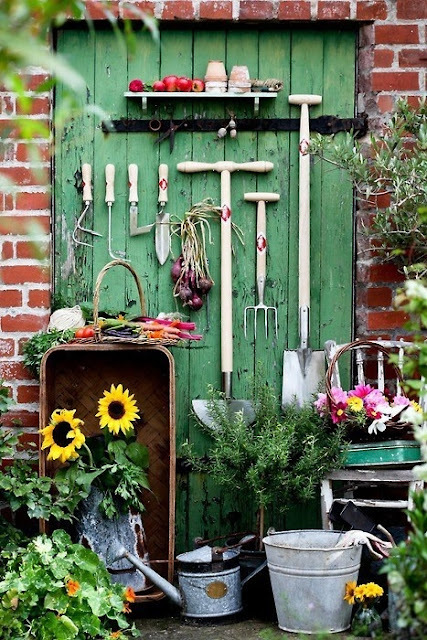 Do you have a garden each year? Nice! I have been scouting Craigslist and neighborhood curbs for cool/cheap stuff in which to plant some herbs and vegetables. Last year I only did basil but it turned out really well and I love it!